These keto Instant Pot recipes will make getting dinner on the table so much easier! Here are 23 fast and easy keto instant Pot recipes including low carb chicken, meat and fish recipes, soups, snacks, and side dishes. Instant Pot cooking has really taken off in the last few years. For good reason—the Instant Pot makes short work of time-consuming recipes, like chicken, beef, and vegetables. 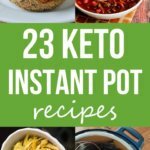 Best of all, there so many delicious keto instant pot recipes out there! For those of you unfamiliar with the Instant Pot, it’s essentially an electronic pressure cooker. I’ve been an Instant Pot user for several years. Read my Instant Pot recommendation and suggestion for the 10 best Instant Pot accessories here. 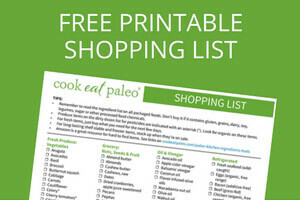 I’ve also shared some yummy paleo Instant Pot recipes (many of which are keto-friendly as well). The greatest aspect of cooking keto meals in your Instant Pot is the time it saves. You’ll enjoy juicy, delicious chicken, filling soups, perfect pulled pork, all in a fraction of the time. Many Instant Pot recipes are ready in 30 minutes or less. The Instant Pot is extremely user-friendly as well. The digital display is easy to read and understand. If you have a favorite slow cooker or even stovetop recipe, a quick search will yield plenty of advice on making the recipe Instant Pot-friendly. One of the best resources I’ve found on converting slow cooker recipes for the Instant Pot is over at Kitchen Stewardship. So if you’re looking for delicious keto Instant Pot recipes, here are plenty of ideas to help you get started. Once you try cooking in the Instant Pot you’ll be surprised at how easy it is. The Instant Pot is so versatile. Of all the recipes I cook in it, probably one of my favorites is eggs (I make them just about every week!). 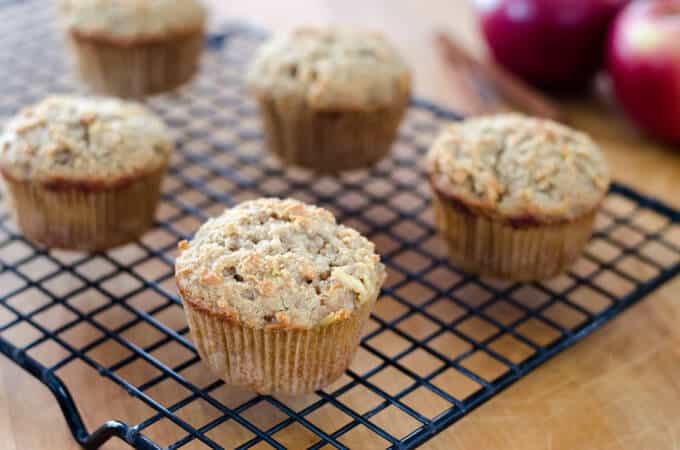 They’re a great snack and an easy grab-and-go option. Many slow cooker soups also translate very well to the Instant Pot, since it cooks with liquid. Don’t limit your keto Instant Pot recipes to main dishes. 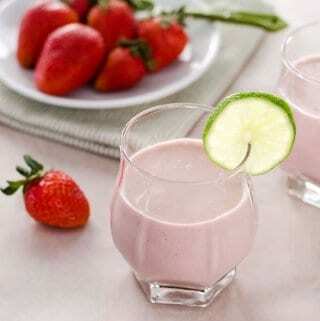 Try a few soups and snacks as well! 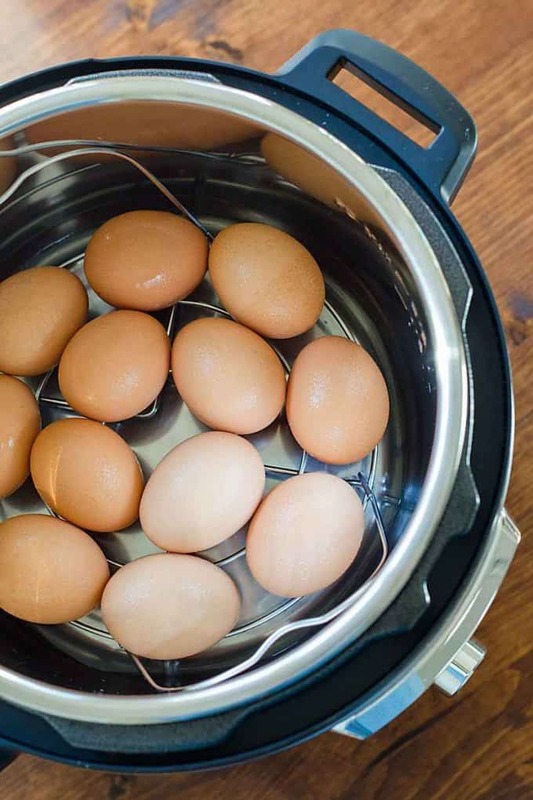 Hard boiled eggs are absolutely foolproof in the Instant Pot. Technically, they’re steamed rather than boiled, but the results turn out perfectly every single time. It’s easy because most models of the Instant Pot have an “egg” setting. You simply add a cup of water, layer in your eggs, and press the button. The eggs are easy-to-peel and cooked perfectly. It’s the perfect grab-and-go keto snack recipe (and great for paleo and Whole30 diets as well). These steak bites are a great high-protein lunch, snack, or dinner. Because the meat is cubed in small pieces it cooks up quickly. You can serve a savory, meaty dish ready in less than 30-minutes. She suggests serving it over mashed cauliflower, which is a great vegetable option if you want to turn this keto recipe into a full meal. This cauliflower soup with sausage is dairy-free, grain-free, Whole30, keto and paleo friendly, making it a perfect recipe for almost everyone. I feel like cauliflower doesn’t always get the credit it deserves. It’s such a versatile vegetable. It’s a great addition to this creamy, satisfying keto soup. This recipe calls for lamb, but you could also swap in beef or another red meat. This stew is ready in 35 minutes in the Instant Pot. 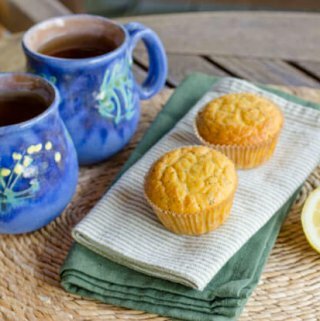 The flavors are the perfect comforting meal for fall or winter. This stew is low carb, keto, and paleo-friendly. It’s hearty enough to work as a main dish but it’s also a great soup option for a filling keto lunch. The Instant Pot works great for chicken and fish. Because the Instant Pot requires less cooking time, it takes a little practice to get used to. Once you’ve tried it though, you’ll love how quickly you can cook moist and delicious keto-friendly chicken and fish dinners, your whole family will love. This keto Instant Pot chicken recipe is especially perfect if your family is following different diets as it's paleo and Whole30-compliant, as well as low-carb. And who doesn't love the flavor of garlic butter? 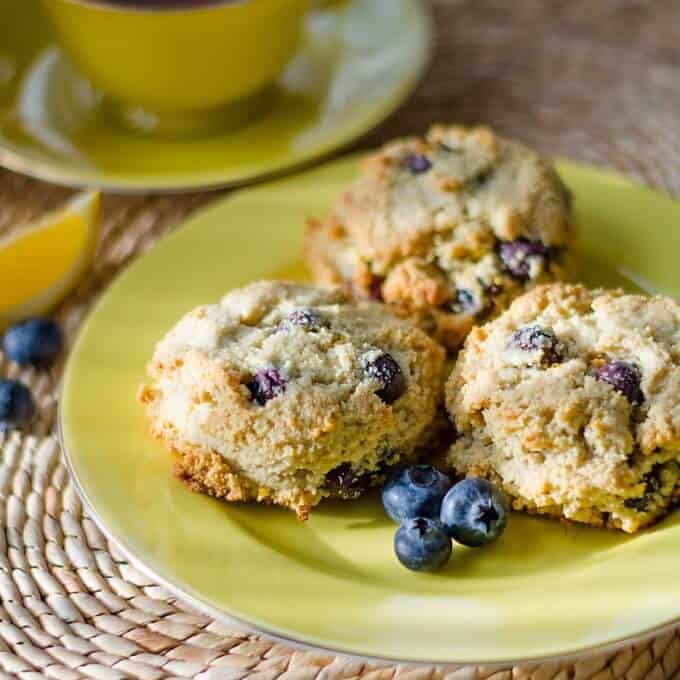 This recipe uses ghee for the butter flavor. This simple chicken comes together fast and flavorful in the Instant Pot. It’s topped with all the yummy flavors of classic Italian bruschetta. 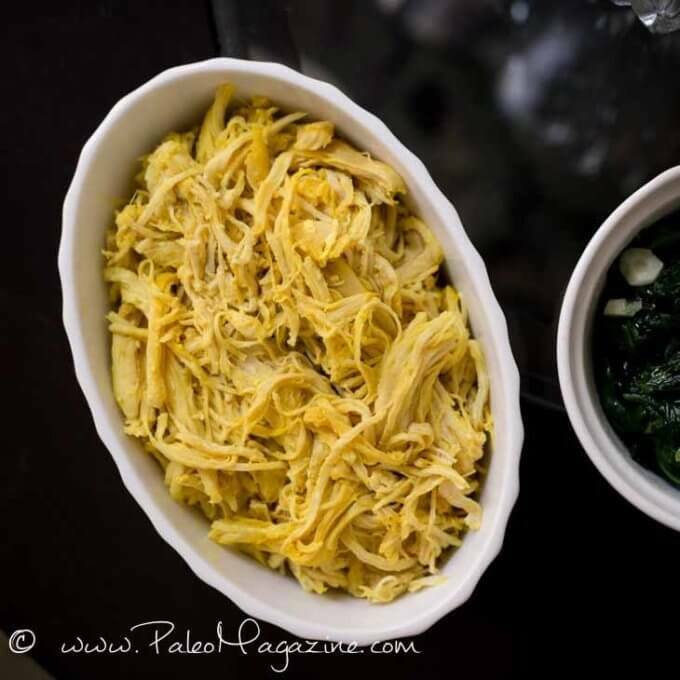 This is a paleo, keto and Whole30 friendly recipe, with no grain or dairy. It’s a perfect dinner option for everyone! Frozen salmon is great to have on hand. It’s often inexpensive and easy to store. Certain times of the year, you can find great deals on large cuts of salmon from big box stores like Costco. When you find a good price, stock up and cook this impressive Instant Pot dinner in minutes. With three minutes prep and only 17-minutes of cook time this is an impressive and healthy keto meal fit for a special dinner (but easy to throw together on a weeknight). Almond meal makes a delicious binding for these chicken meatballs. Buffalo sauce adds a flavorful kick (although you could also use a mild sauce as well). Meatballs are perfect with zoodles (zucchini noodles) or on their own. These cook up in 20 minutes in the Instant Pot, for another fast keto dinner recipe your whole family will enjoy! This saucy, spicy chicken dish is a delicious low-carb dinner option. You can enjoy the chicken on its own as an appetizing stew, or you could serve it over a bed of cauliflower rice. This dish has great Mexican flavors. It’s a quick and easy keto Instant Pot recipe. Lemon garlic chicken is such an easy favorite. Using chicken thighs in the dish will be extra juicy and flavorful, but honestly, in the Instant Pot, chicken always turns out juicy, regardless of the cut. You could use breasts in this keto chicken dish as well. This chicken cooks up in about 15 minutes, so it’s ready for a fast keto dinner any time. 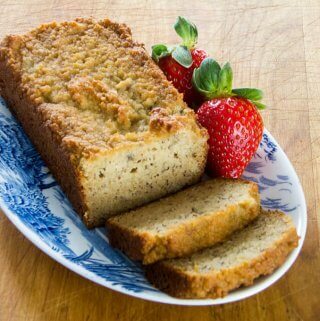 Just skip the arrowroot flour to keep it low carb. Fish or seafood in the Instant Pot is often a challenge at first. Many new Instant Pot cooks struggle with getting the cooking times correct. This recipe outlines exactly how to cook tender, delicious shrimp in your Instant Pot, with very little effort. This is a great keto Instant Pot method for cooking shrimp. Beef, pork, lamb and other meats are perfect for the Instant Pot. The liquid pressure-cooking means the meat is mouth-wateringly tender and juicy every time. The keto-friendly recipes you cook in the Instant Pot, always taste like they took all day to prepare (but many are ready in less than an hour)! My family absolutely LOVES this super easy pulled pork recipe! 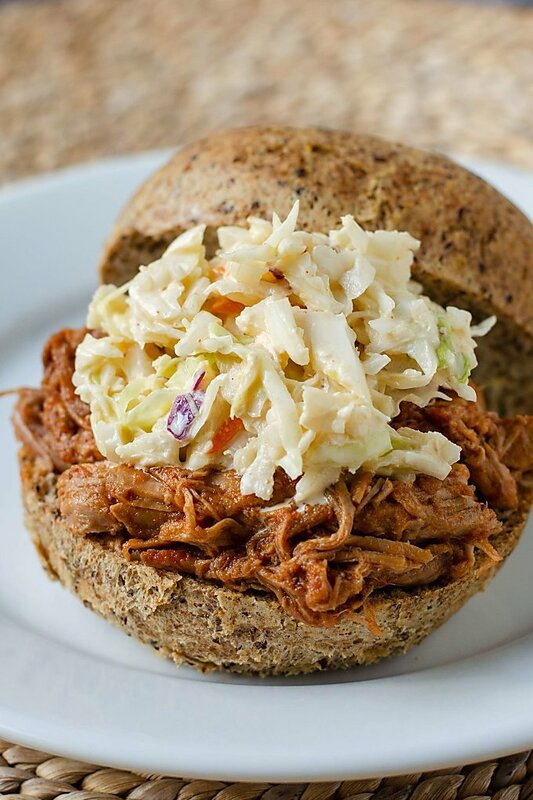 With just three ingredients it couldn't be simpler to get amazingly tender pulled pork that's perfect for sandwiches (with keto-friendly rolls, of course), pulled pork bowls, or lettuce wraps. There’s no risk of dry, tough pork with the Instant Pot. Every Instant Pot recipe turns out succulent and delicious every time. I absolutely love any dish with avocado. They’re one of my favorite foods! So this Instant Pot chili lime steak bowl is perfect. The base of the bowl is creamy, yummy avocado, topped with flavorful Tex-Mex marinated steak. This would be a satisfying lunch or dinner. Best of all, this keto Instant Pot recipe is calls for only 15-minutes of cooking time! Beef Bourguignon is a classic French dish known for a 6-hour cook time. The results are a delicious, tender, juicy beef stew that’s company-worthy. The Instant Pot enables you to cook the same, flavorful and delicious dish in a fraction of the time. In fact, this meal cooks up in under an hour! This is a low-carb, keto recipe that will earn you rave reviews. This keto dish is a Cuban classic. Tender shredded beef is enhanced by a delicious tomato sauce with onions, pepper, spices, and vinegar. 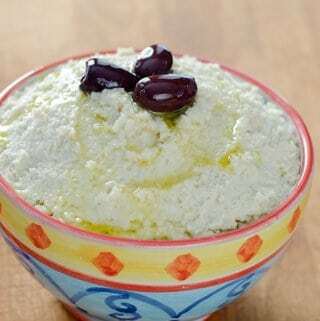 Yummy olives add dimension and additional savory flavors to this comfort food. This dish is great on its own or served over a bed of cauliflower rice. Like most keto Instant Pot recipes this dish can also be made in a slow cooker. Pork shoulder roast is often on sale. If you find a great price, this Instant Pot recipe is a great keto dinner option. In a short time (about 35 minutes of cooking time) you’ll enjoy tender, shredded meat with plenty of flavor. Cumin, coriander and garlic powder make this Instant Pot pork recipe extra savory and delicious. This is a yummy, tender beef recipe that’s a Chipotle copycat. 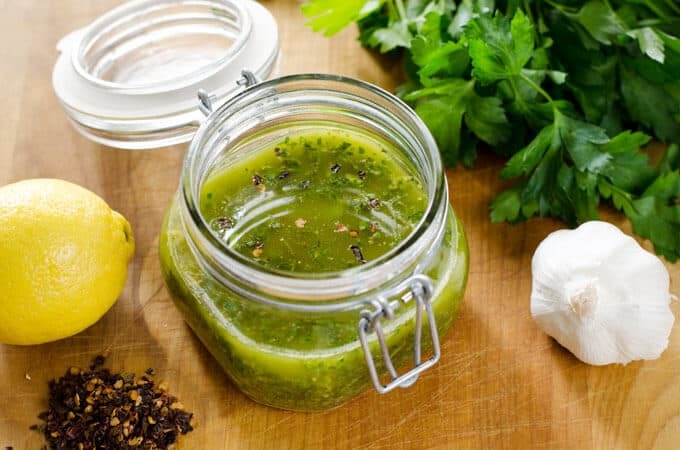 This is the perfect addition to a salad over a bed of lettuce with guacamole. The tender, shredded beef melts in your mouth. It’s ready in only an hour thanks to the Instant Pot, so you can enjoy a crowd-pleasing keto dinner tonight! This keto Kalua pork is flavorful, smoky and delicious when cooked in your Instant Pot. Again, the Instant Pot is perfect for shredded and braised meats. It adds so much flavor and with the pressure, the meat is done in a fraction of the time. This easy paleo and keto Instant Pot recipe is great for pairing with zoodles! 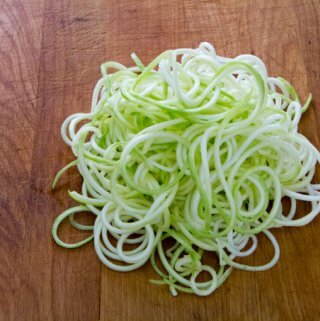 Zucchini noodles are so delicious and simple to make. This is an easy, family-friendly dinner your kids will love too. The sauce is simple—meat, onions, spices. Look for the cleanest, highest quality sausage you can find for this keto dish. 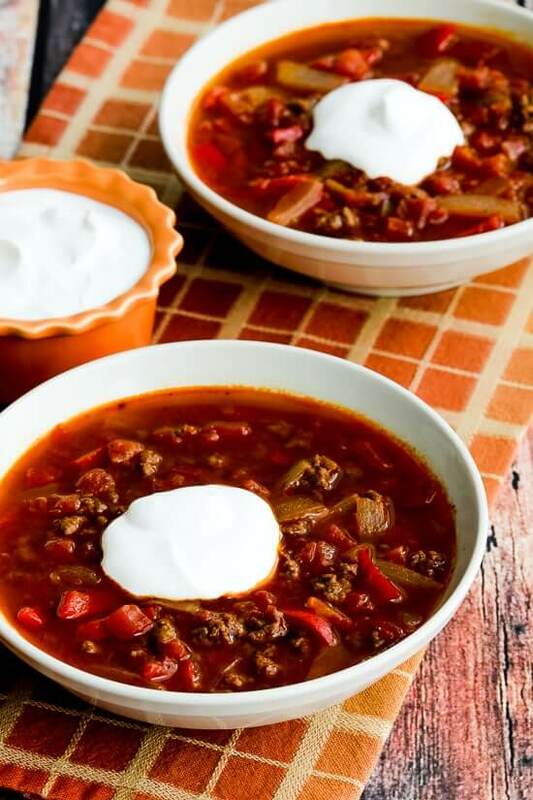 This low carb goulash soup with ground beef and peppers is a quick and easy dinner that’s keto and gluten-free. And if you skip the optional sour cream it's paleo and Whole30 as well. Just swap out the sour cream for cashew cream or my favorite topping on anything and everything—guacamole! The Instant Pot takes the extra work out of my favorite keto side dishes. When you cut the cooking time down to minutes, getting dinner on the table is a breeze. Even notoriously hard-to-cook vegetables like artichokes are ready quickly in the Instant Pot. Brussels sprouts are a savory favorite side dish, especially when they’re cooked with bacon. Making them in the Instant Pot is fast and easy. Because of the bacon, these Brussels still turn out flavorful and smoky, even without roasting them in the oven. If your kids are on the fence with Brussels sprouts this keto side dish recipe will change their mind. Cauliflower mash cooks up in 20-minutes for an ultra-comforting side dish. The Instant Pot is perfect for getting tender cauliflower, ideal for mashing. You can use a ricer or a plain masher to blend up your cauliflower. Serve it with any of the beef recipes for a perfect keto dinner. Artichokes are another hard-to-prepare vegetable that’s seemingly made for the Instant Pot. The pressure-cooking works so fast, to cook tender, ready-to-eat artichokes in just 20-minutes. Serve these with your favorite dipping sauce for a low-carb side dish or even a delicious keto lunch! Spaghetti squash is a low carb gluten-free pasta alternative that's super easy to make in the Instant Pot. No struggling with the knife to cut open the hard squash! The Instant Pot takes a little bit of time to get used to, but once you give it a try, you’ll be hooked. 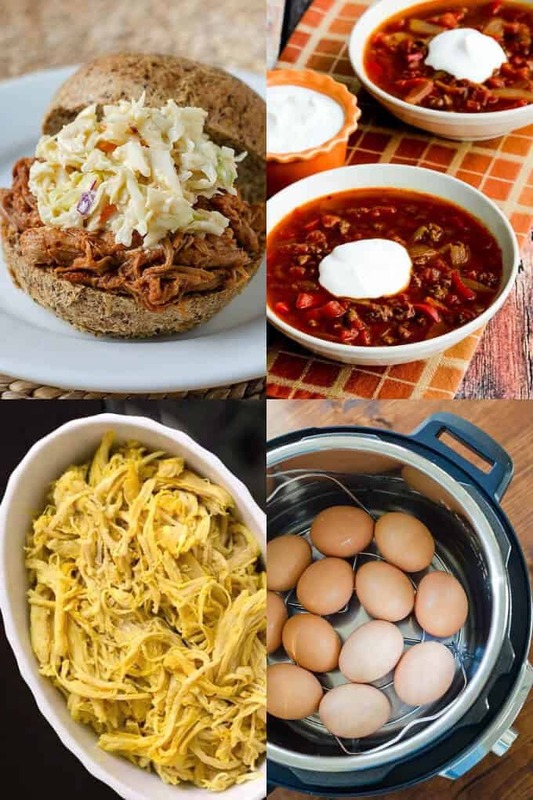 These yummy keto Instant Pot recipes are a great way to get started using the pressure cooker. In a fraction of the time, you’ll enjoy a savory keto dinner that will please your whole family!